Cindy's Promise - Rescue & Rehab inc.
Cindy's Promise - Rescue & Rehab inc is a registered horse rescue NFP charity in Wollert VIC. 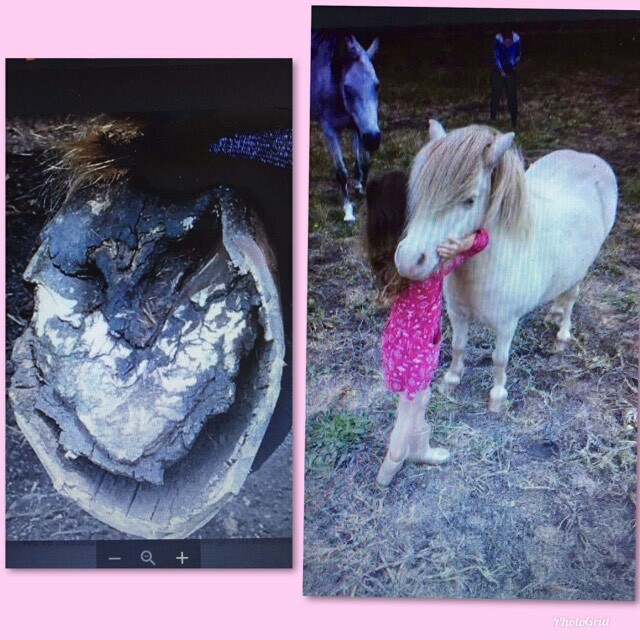 A tiny little pony NEEDS OUR URGENT HELP! We are currently at limit and have a waiting list. We are also in very hard conditions with little grass and having to provide hay rounds to every paddock every week as well as hard feeding. This is just such a tragic situation that myself and my team feel we have to try to help. I can’t explain the background of the situation but can tell you that this pony’s owner is in very very hard times and has been begging us for weeks to help. Blondie has until tomorrow to be rescued or he will be kicked out of agistment and sent on a truck (not by owner). He has some very serious hoof problems that require xrays and specialist farrier care. But of course we still have 30 other horses to maintain as well. So what we are asking is for our supporters to PLEASE PLEASE dig deep so we can raise enough funds to help this pony (roughly $2000 for initial rehab) with X-rays, vet check, blood test, specialist farrier and the usual vaccinating, worming and teeth. We also need to raise further funds for round bales so that we know we have the rest of the horses covered over the next few weeks. We are using 5 round bales a week = $500 Hard feed a week = $500. So we need to be able to feel our funds are secure enough in order to take on another expensive rehab. Thank you for saving these two. Thankyou for making this possible for Blondie. You do a wonderful job. Thank you. Hoping this helps Cin!! Looking forward to the little one s progress.